Parking is painful in the United States, as per the available estimates of time and money that motorists spend every year. The daily hunt for parking space incurs an additional cost, i.e. estimated USD 345 per driver in some parts of the country. Drivers spend 17 hours a year on an average looking for parking space at public places, on streets and in garages, according to INRIX, a leading specialist in transportation analytics. To say in brief, parking woes in the US cost Americans over $20 billion a year. An Indian graduate at the University of Alabama in Huntsville seems to put an end to parking problems in US cities, including New York, Los Angeles, San Francisco, Seattle and Washington DC. Sai Nikhil Reddy Mettupally created a space-detecting algorithm using airborne censors to mitigate parking woes of Americans. He finished up second in the Science and Technology Open House competition 2018 for his innovation. 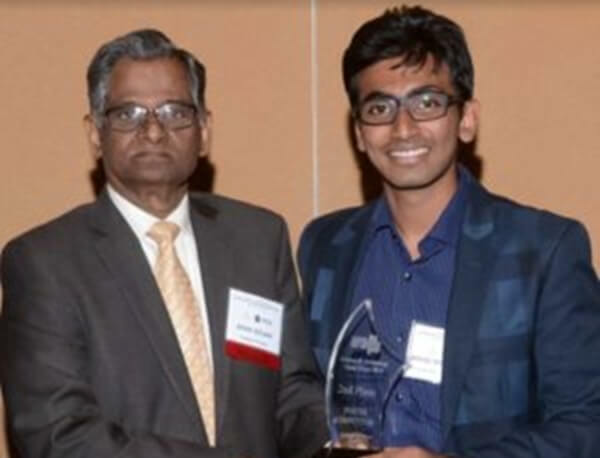 A student of Huntsville’s Alabama University, Sai Nikhil Reddy Mettupally has made the most of Big Data analytics and deep-learning techniques in his space-detecting algorithm to help drivers find empty spots for vehicle parking. Nikhil pursuing masters in the Computer Science Department hit upon the idea of developing the algorithm for motorists grappling with parking problems in the US after the University of Alabama transitioned to a parking zone last fall. The incidence of parking space shortage in the university premises is high between 11 AM and 1 PM on a typical day. Evidently, finding parking space is a great difficulty for faculty members, students and non-teaching staffs. In order to curb the mounting wastage of time and fuel, Nikhil Reddy found it a pressing need of the hour to create a solution to parking problems in US cities. A bachelor in electronics and communications engineering from the Birla Institute of Technology and Science in India, Sai Nikhil Reddy Mettupally turned to Dr. Vineetha Menon, an assistant professor in the department of computer science for the latter’s guidance and mentorship in transforming his idea into a real solution. Being the director of Big Data Analytics Lab at the university, Dr. Menon was able to help Nikhil with high-tech computing power that was needed to create the empty space-detecting algorithm. Unlike the existing parking apps, Sai Nikhil Reddy Mettupally’s innovation for Americans grappling with parking problems does require neither purchase nor installation of expensive in-ground sensors. Reportedly, the new space-detecting algorithm will be relying on a convolutional neural network to analyze pictorial data (imagery) that video surveillance cameras will collect and transmit to help check whether a given parking lot is full or empty. In New York alone, most drivers have reported spending 107 hours a year hunting for parking space. It incurs a whopping $4.3 billion as cost of wasted time and fuel to New Yorkers. Of the respondents to a survey conducted in and around 10 major US metropolitan areas, 42% said that they missed appointments due to parking problems, 34% said that they skipped weekend outings owing to parking issues, and 23% reported experiencing road rage because of the same reason. In addition, 63% of the 6000 drivers who were surveyed don’t prefer driving to major airports, popular shopping centers and crowded leisure sites due to maddening searchers for parking space. Alabama-based Sai Nikhil Reddy Mettupally is currently busy troubleshooting the few initial issues in a bid to perfect the algorithm. He also seeks to create a parking-support mobile app which will use the GPS feature of mobile phones to provide real-time data of occupied and empty parking lots. It will not only help find space in the closest parking zone, but also manage the vehicular traffic flow and improve parking management. This story is part of our continued series of inspiring stories about young Indians in USA, at Travel Beats, an Indian American community portal by Indian Eagle Travel. Indian Eagle is a leading air travel booking partner of Indians in USA. Subscribe to our free newsletter for latest community stories, US visa & immigration news, and US-India travel updates.